2016 KTM 790 Duke: Are you the one? 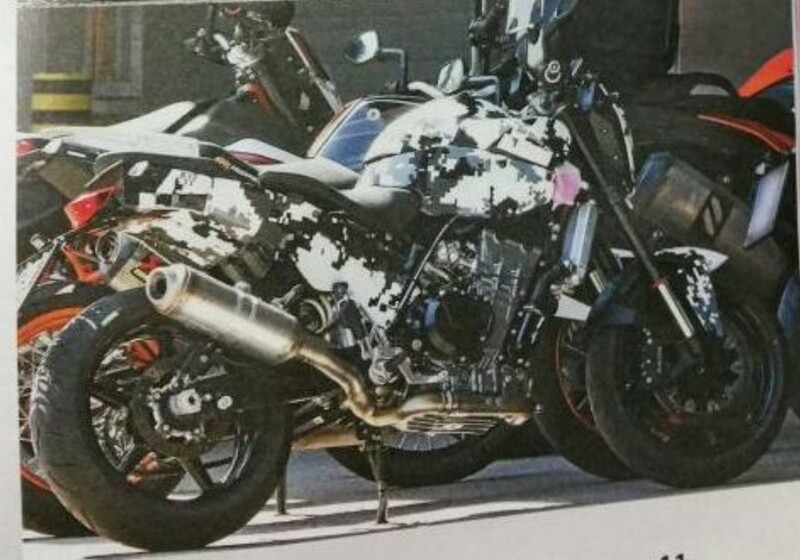 Even though no any communication from KTM globally about their new developments, we see a latest test mule from KTM showing new parallel twin architecture looking the trademark of V engine architecture in upcoming KTM 790 Duke. 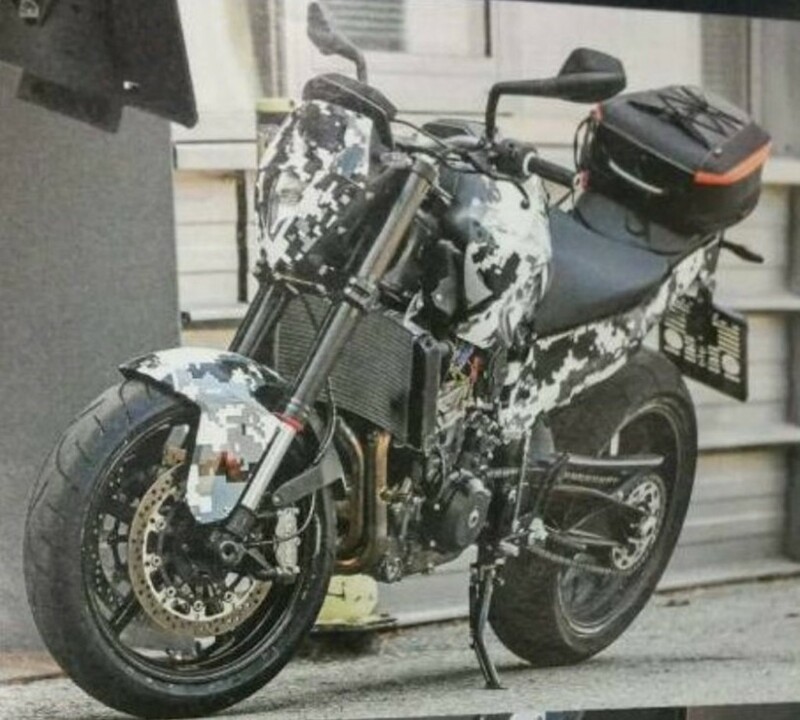 The latest spyshots has been circulated in media shows two spy images of upcoming KTM Duke 790. This bike could be serious direct competition for Kawasaki Z800, Triumph street triple and Ducati Monster 821. As KTM has developed a new engine, we can definitely expect to see more bikes using it, with the highest hopes lying with a middleweight adventure bike, a breed bike makers seem to have completely forgotten about. Though the power figures are not out but, to keep it with competition the bike could churn 110-115bhp from parallel twin. Whether the bike will come with two versions of naked and sports or will have adventure kit, we are not sure from the images. But, we would really like to see that radiator in place just like its bigger sibling, KTM typical orange set of rims and exposed trellis frame and plenty of aggression inspired from 1290. Now considering KTM is manufacturing Duke 125, Duke 200 and Duke 390 with RC versions of last two at Bajaj facility in Chakan, there are high chances that this new bike will be ‘Made in India’. If this comes true, India will have its first, highly competitive parallel twin at much cheaper rates than the competition. KTM Duke 390 currently priced approx 2 lakhs on road in India, we expect a price tag of 4 lakhs on road if the bike is completely made in India. The bike is expected to have its global unveil at EICMA in November, we will give you many detailed photos of the bike with exact power and weight figures.